Cats know. Cats know you took out a second mortgage to pay for that couch. They know. That's why they love that couch and why you need the Cat-Tree-Fort. 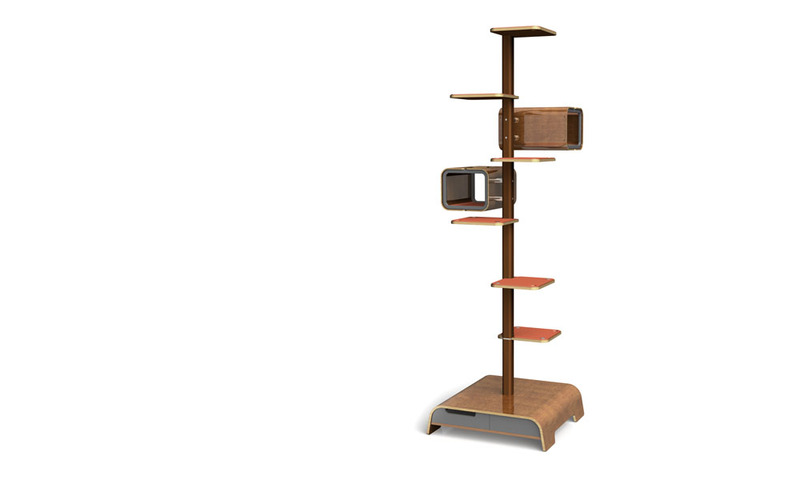 Designed to coexist with carefully selected and painfully acquired furniture, the modular Cat-Tree-Fort configures to fit your cat's personal needs. Designed for real life (including vacuuming and dusting), the Cat-Tree-Fort is constructed from time-tested materials and processes. 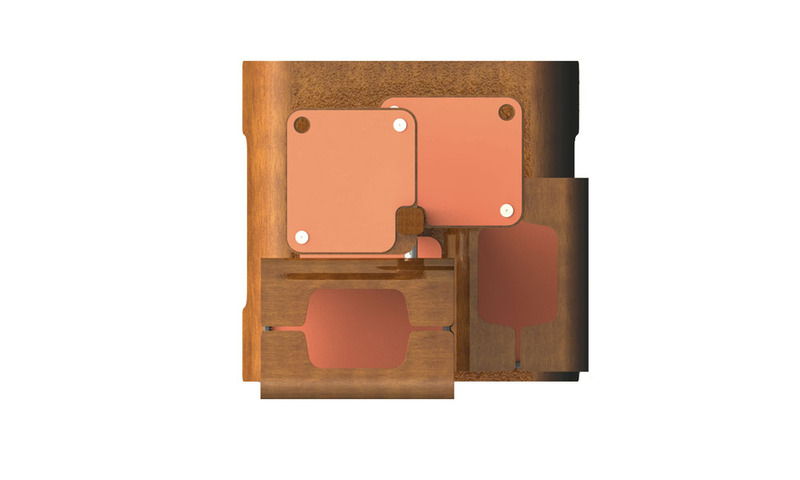 When the scratch surfaces are scratched out, easily fit in new ones. And hide those soggy cat toys in the conveniently located storage drawers. 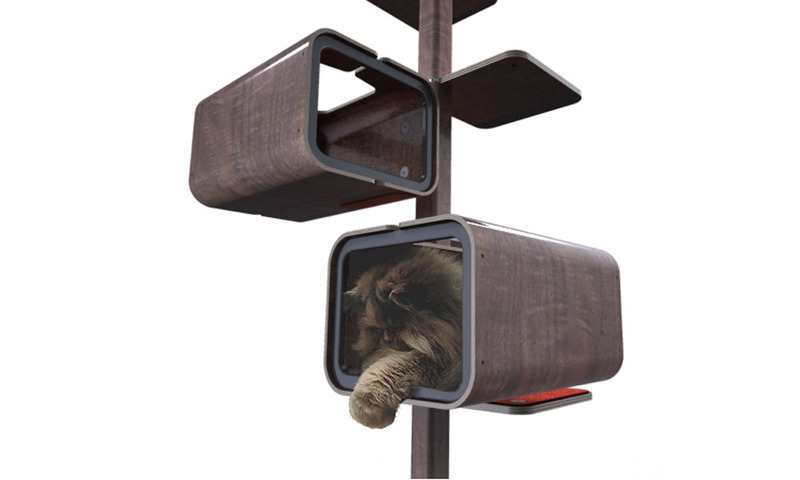 Cats like to squeeze into small spaces, so the condos are sized to climb into, jump out of, and just fit. The steps are for climbing, scratching and jumping. For best results, pretend it is not for your cat.